Buying or selling your home can become a very stressful event for you, but it does not have to be. Placing your trust in the hands of an experienced real estate professional like Julie will allow you to relax and feel secure. Attention to detail and personalized service to Julie’s client is her goal in order to ensure that each task is properly completed leading to a successful transition. Professional development and continuing education are keys to success in any career. Julie's motto is never stop learning! She holds a Master in Business Administration from University of Tennessee Chattanooga, a Bachelor of Science in Natural Resource Management from Oregon State University, and an Associate in Engineering Technology from Chattanooga State. 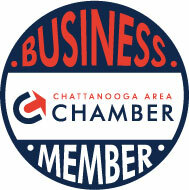 An Ambassador for the Chattanooga Area Chamber of Commerce, Julie is passionate about Chattanooga. She also volunteers her time with the Greater Chattanooga Association of Realtors, Chattanooga Engineers Club, and the Society of Women Engineers. Julie is an avid outdoors enthusiast and environmentalist enjoying all the beauty that Chattanooga has to offer. When it comes to home design and renovation projects, she is also a DIYer. Call or text Julie at 423-421-9080. Julie is licensed in Tennessee.